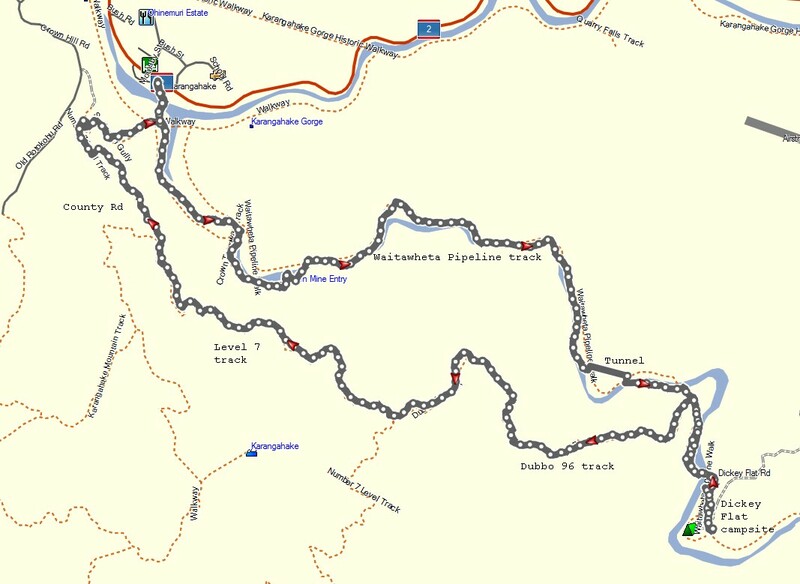 The photos show the track walked in a clockwise direction, starting at Dickey Flat. 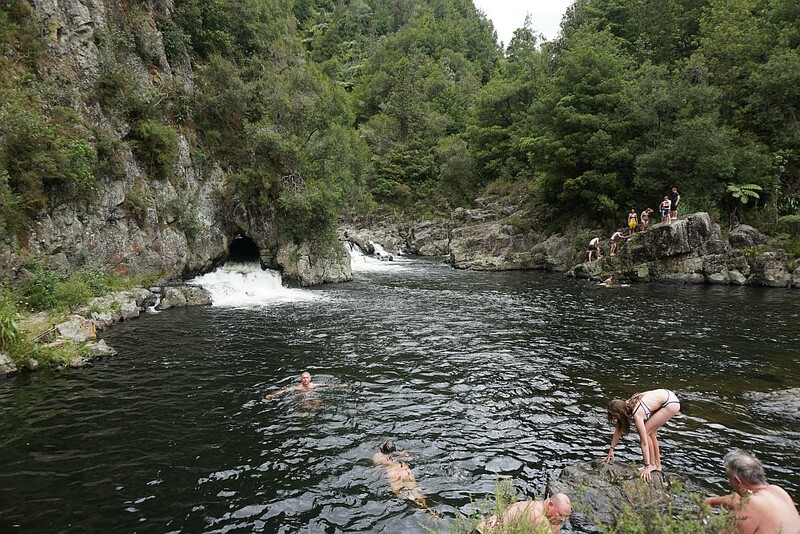 This allowed for a lunch break at Karangahake before returning to Dickey Flat via the Waitawheta Pipeline Track. 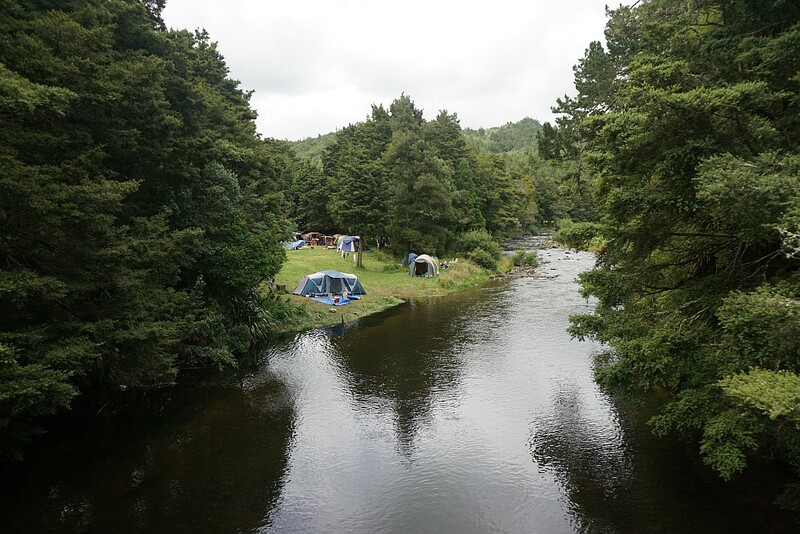 Parking and toilet facilities are available both at the campsite and at Karangahake. 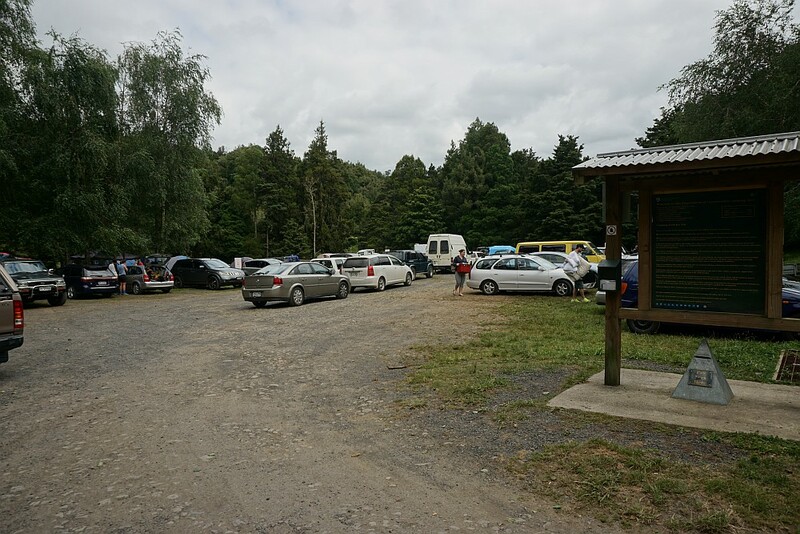 On a weekday in early January the carpark at the campsite was completely full. Camping is done on an honesty box principle, with registration forms and payment placed in the pyramid box on the right. 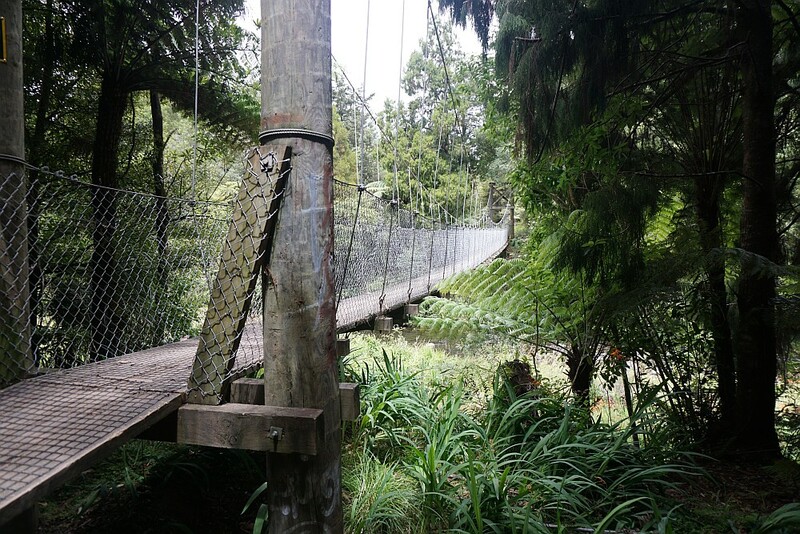 Suspension bridges cross the Waitawheta River near the campsite and at Karangahake. This is the first one after leaving the campsite. Looking from the bridge back towards the campsite. About 300m from the bridge the Dubbo 96 Track turns off to the left. 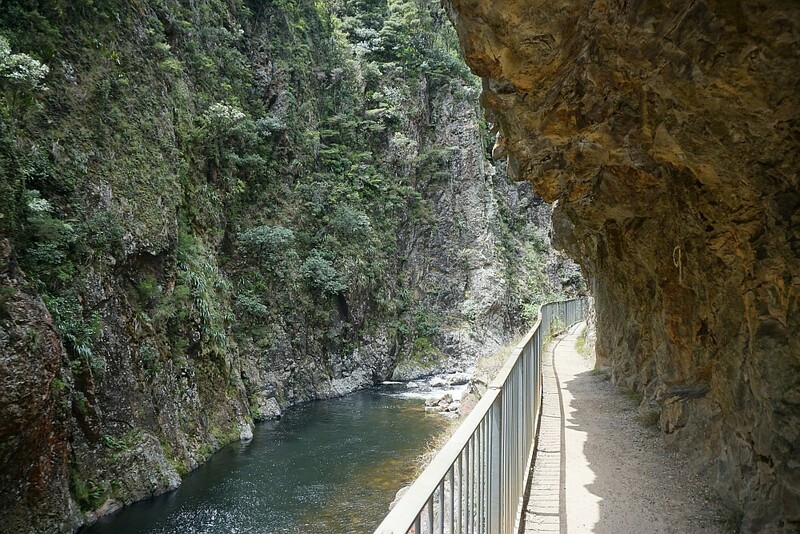 The distance to the Karangahake Walkway is shown as 5.2km, with a time of 2 hours. 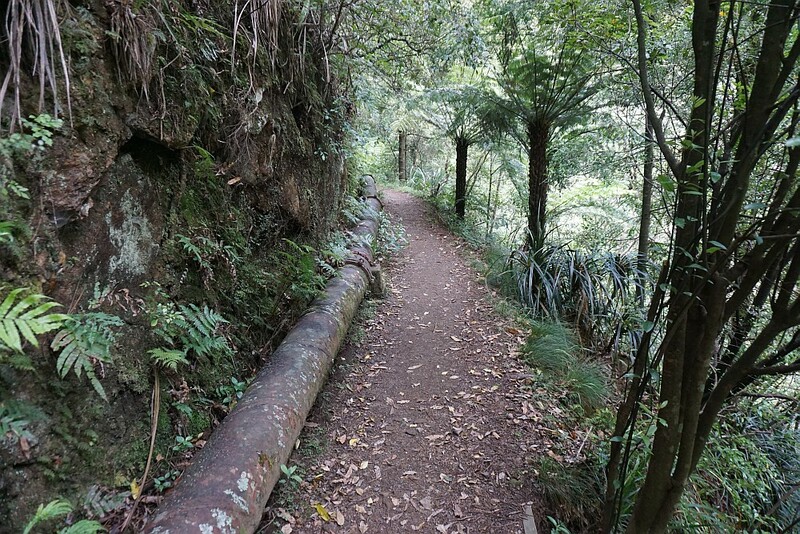 The Waitawheta Pipeline Track continues on ahead to the next bridge across the river. The Dubbo 96 Track passes through regenerating native bush, on a track that is well marked and easy to follow. 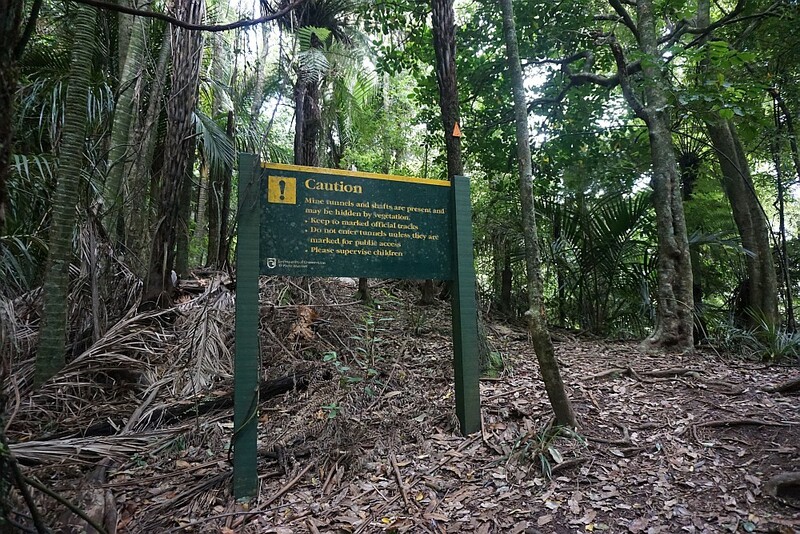 It rises to an elevation of about 80m at the junction shown above to about 280m where it joins the Number 7 Level Track, with a number of rises and falls along the way. 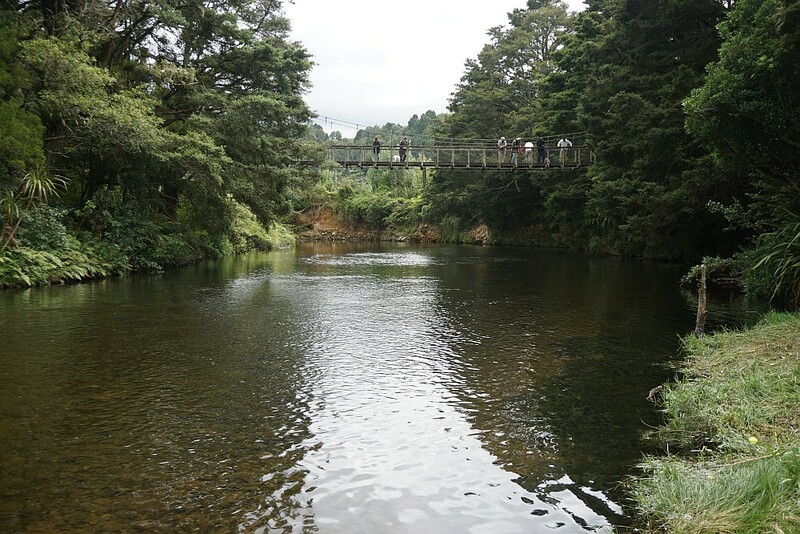 There is a single, relatively easy with the stream at this level, crossing of the Dubbo Stream, which continues down the valley to the Waitawheta River. The Dubbo 96 Track is mostly well formed and well marked. 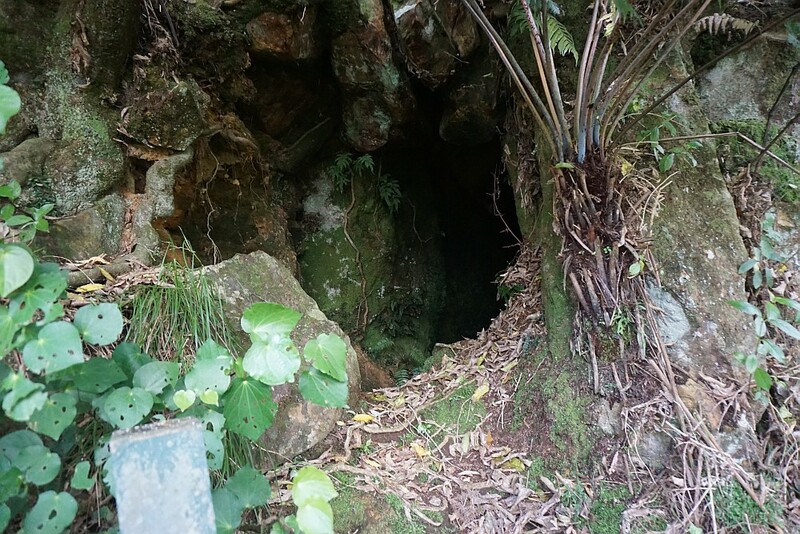 Old mine diggings with tunnel entrances are found in several places on the sides of Mt Karangahake. Signs warn of the dangers. The junction of Dubbo 96 Track and Number 7 Level Track or County Rd. According to the sign this is about the halfway point between the campsite and Karangahake. 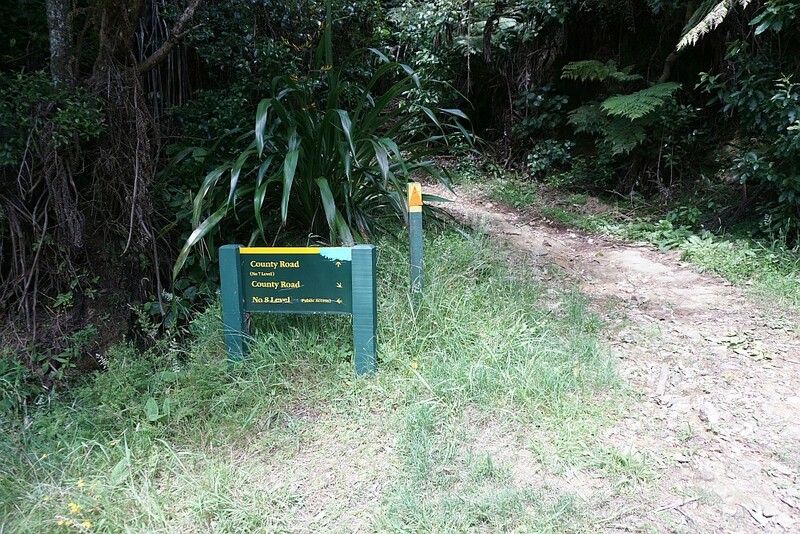 County Rd (or Number 7 Level Track) is no longer a road, but is a well-formed track on the flanks of Mt Karangahake. 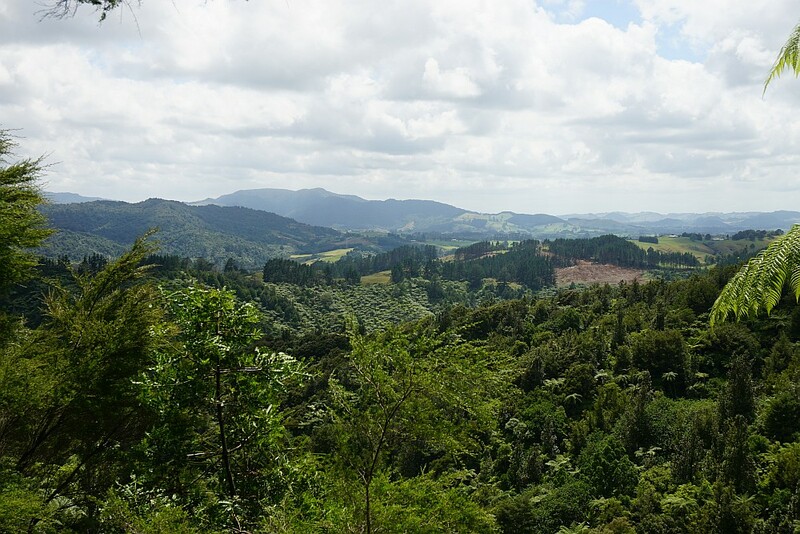 Along the track there are occasional views across the valley, looking towards Waihi. 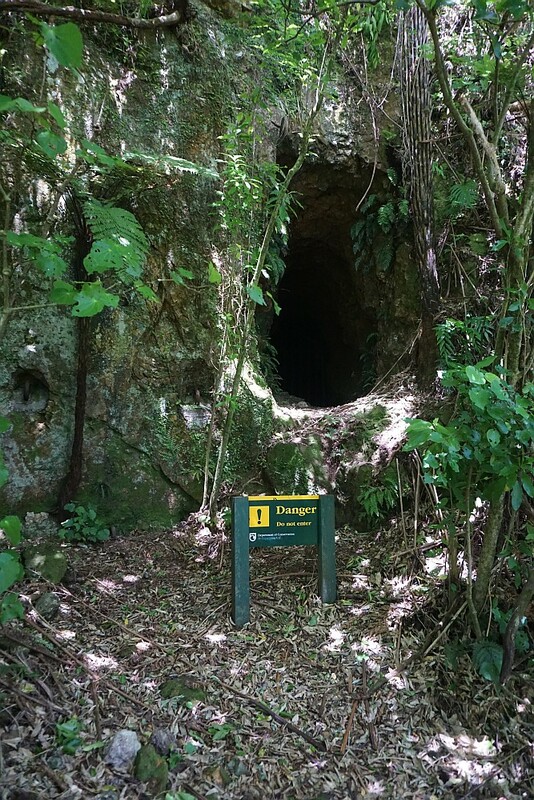 An old mine entrance beside the track. 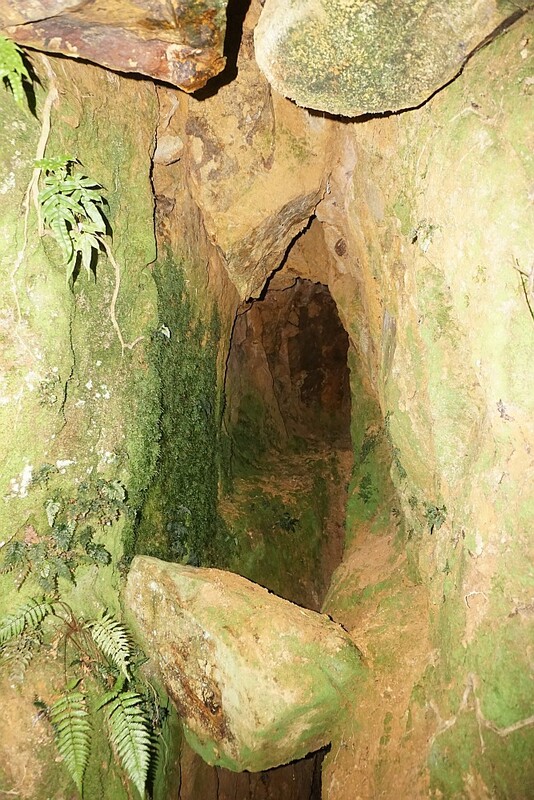 Looking into one of the mine entrances, or adits, along the track. Obviously since the mines have been abandoned for about 100 years the tunnels cannot be considered safe to enter. County Rd or Number 7 Level Track joins up with Number 8 Level track, which has no public access. 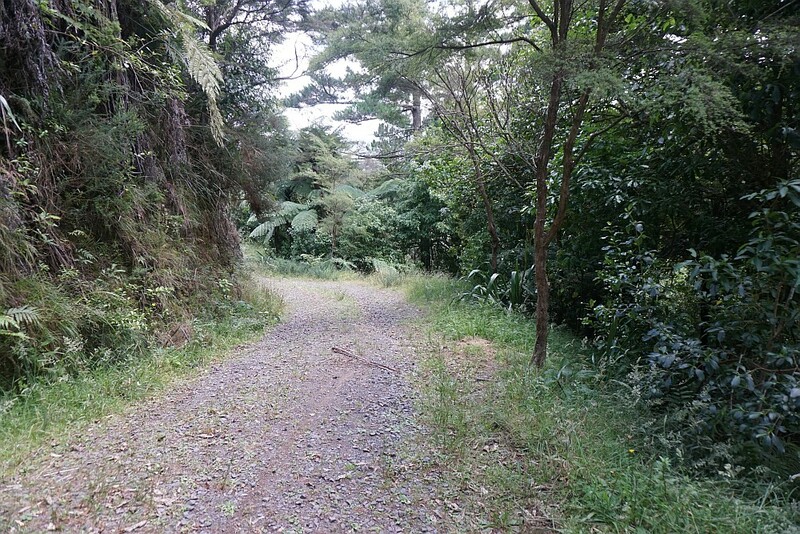 The track to Karangahake continues down County Rd to the right. From here the track is a well-formed single-lane road. 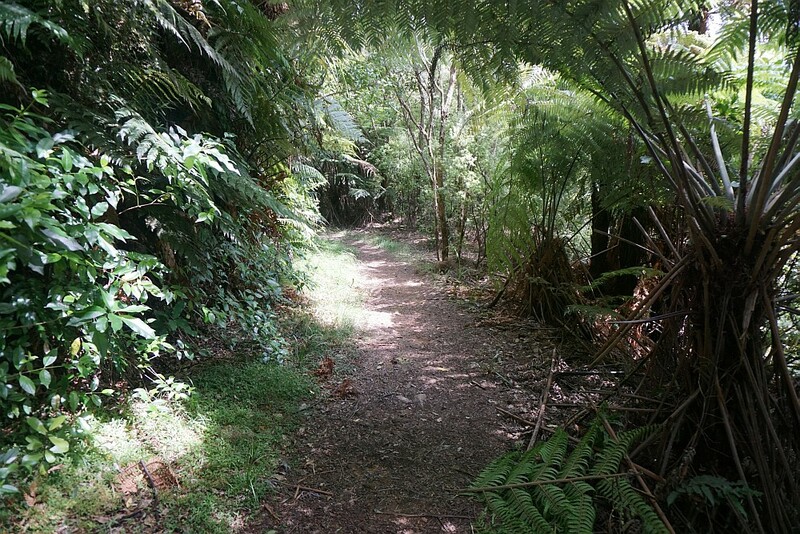 Shortly after the above junction the track to the summit of Mt Karangahake branches off County Rd. This is looking back up towards Dickey Flat and Dubbo 96 Track, with the summit track on the far right. The track to Karanagahake branches off the road and passes through Scotsman Gully. 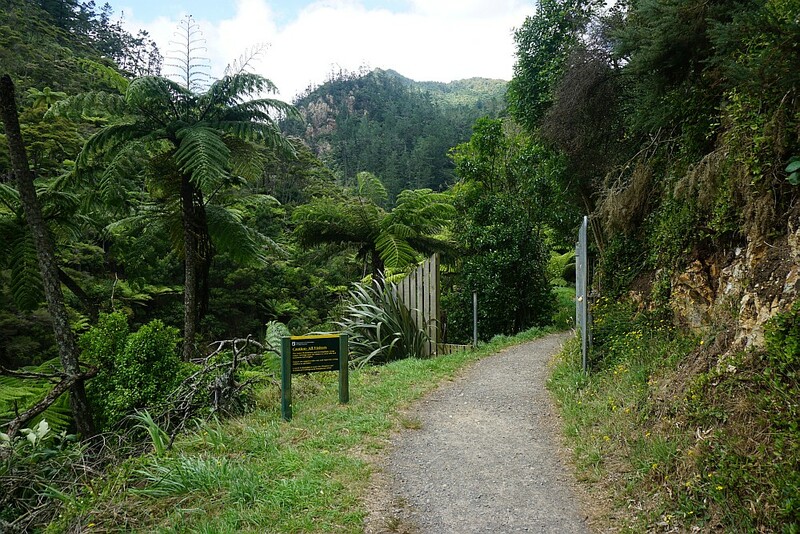 See the post about Mt Karangahake Summit for more details. 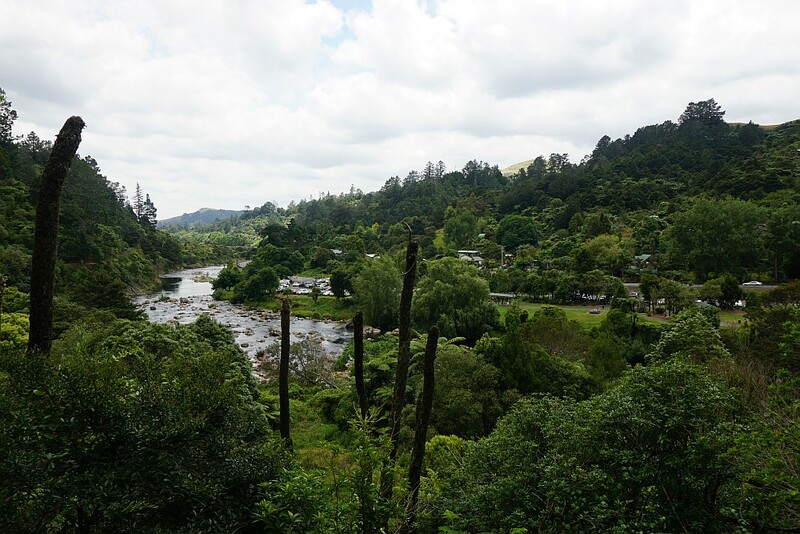 This view is at Karangahake after walking through Scotsman Gully, looking down on Ohinemuri River, with SH2 on the right. 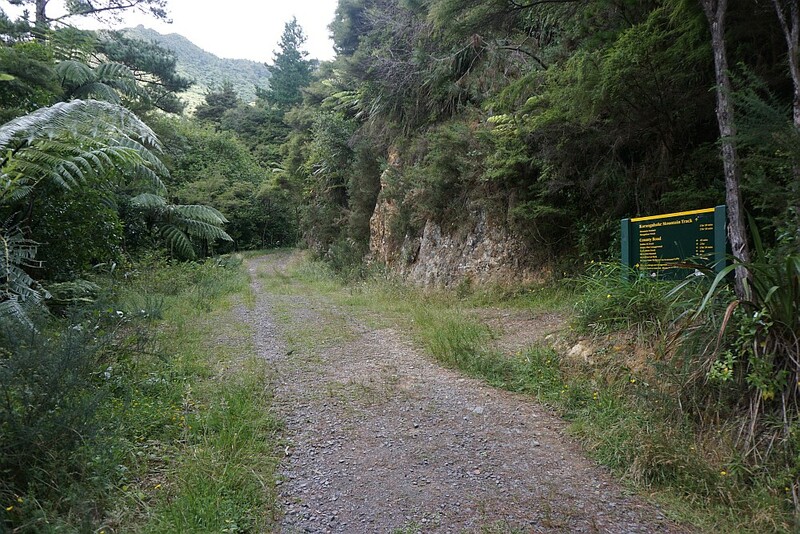 The first part of the return walk to Dickey Flat uses the Crown Tramway Track. 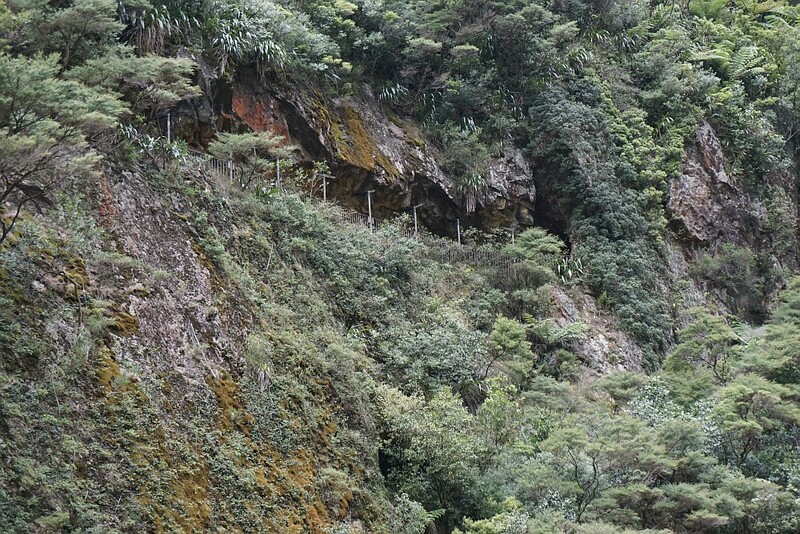 If this track is closed at the gate due to rockfall, then the alternative route through the Windows Walk can be used. 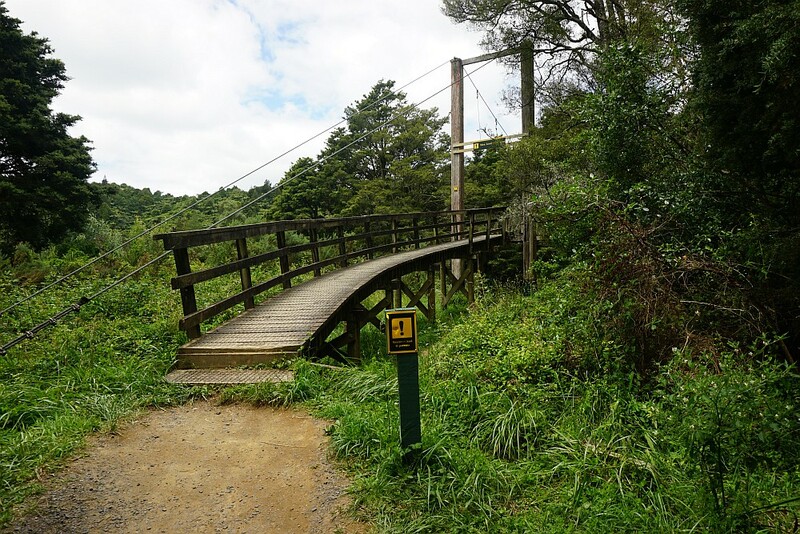 The two tracks join at a suspension bridge across the Waitawheta River about 600m upstream. 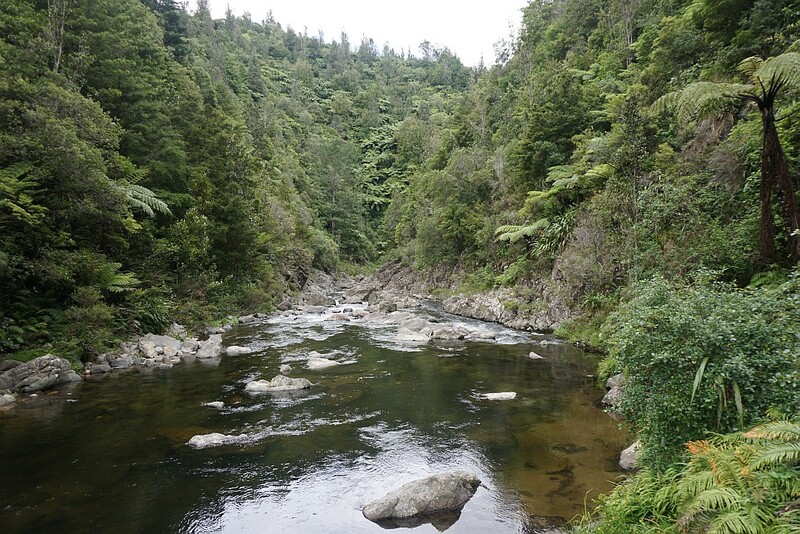 The Waitawheta River shortly before it joins the Ohinemuri River. 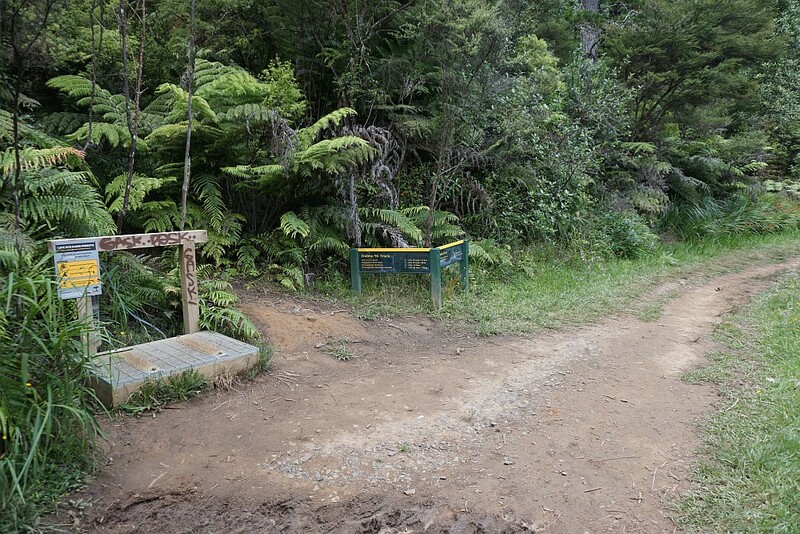 The Windows Walk track is to the left, the Crown Tramway track to the right. 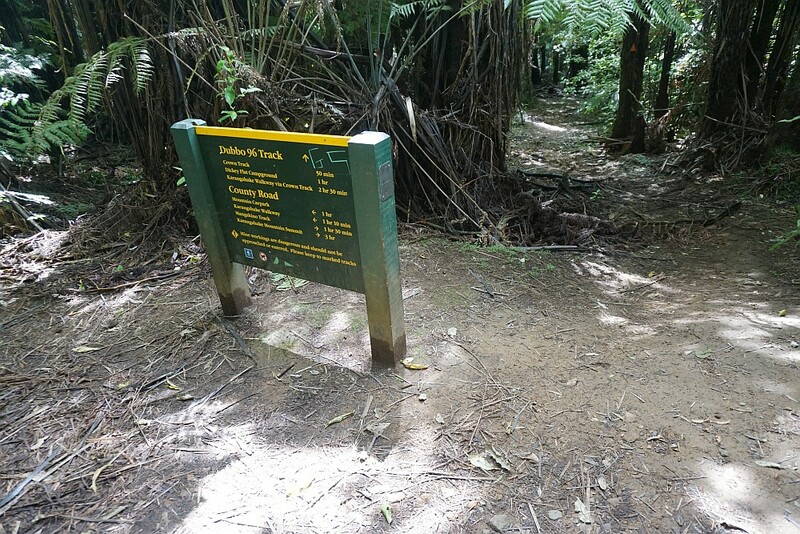 The Windows Walk Track, near the tunnel entrance, is clearly visible from the Crown Tramway Track. 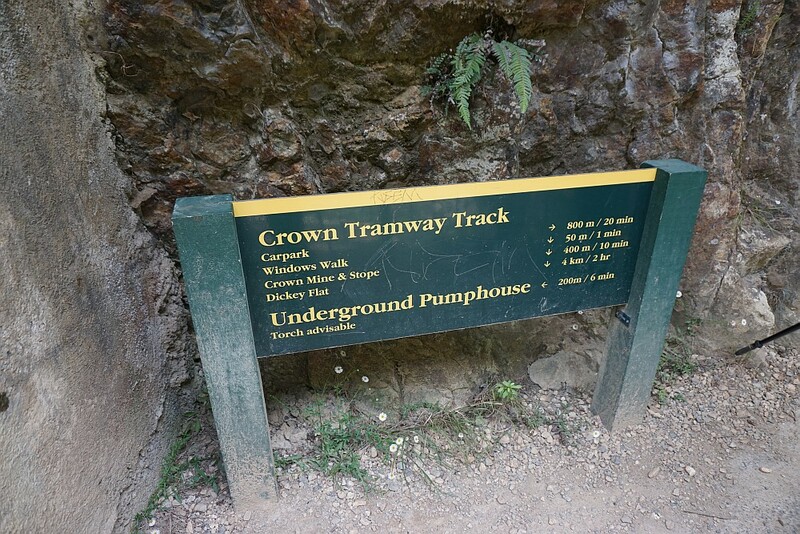 Part of the Crown Tramway Track was hewn from a vertical rock face. 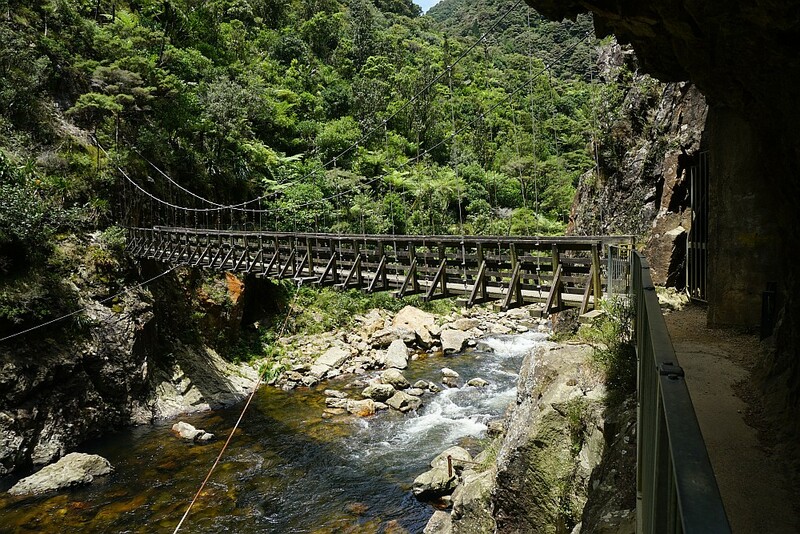 The suspension bridge joining the Crown Tramway Track, the Windows Walk Track, and the Waitawheta Pipeline Track. The sign by the suspension bridge. The walk to the pumphouse has been closed more or less permanently. Across the bridge is the start of the Waitawheta Pipeline Track back to Dickey Flat. The pipeline continues alongside the track for about 3km up to the tunnel and swimming holes. 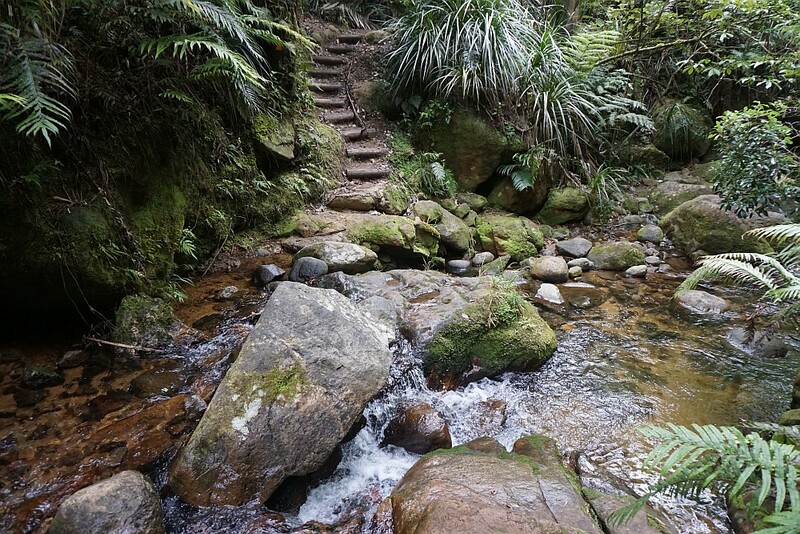 The Waitawheta River near the Crown Mines entrances. 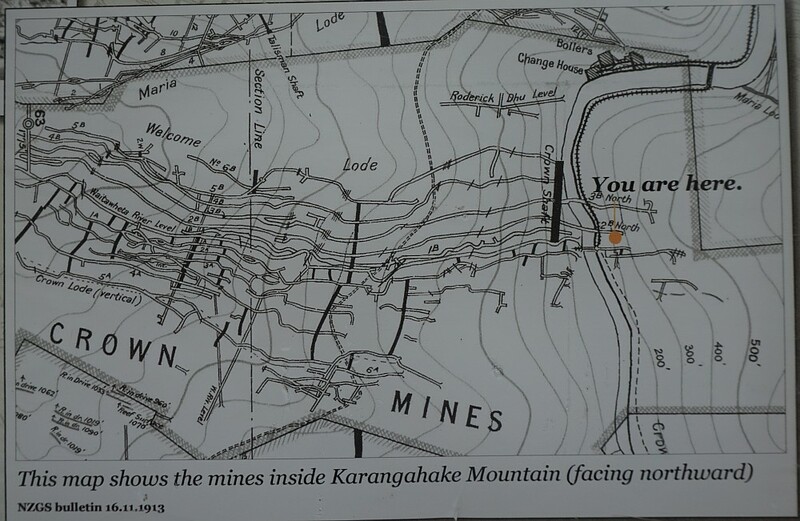 A map from 1912 showing the extensive gold mine tunnels inside Mt Karangahake, to the right in the above picture. 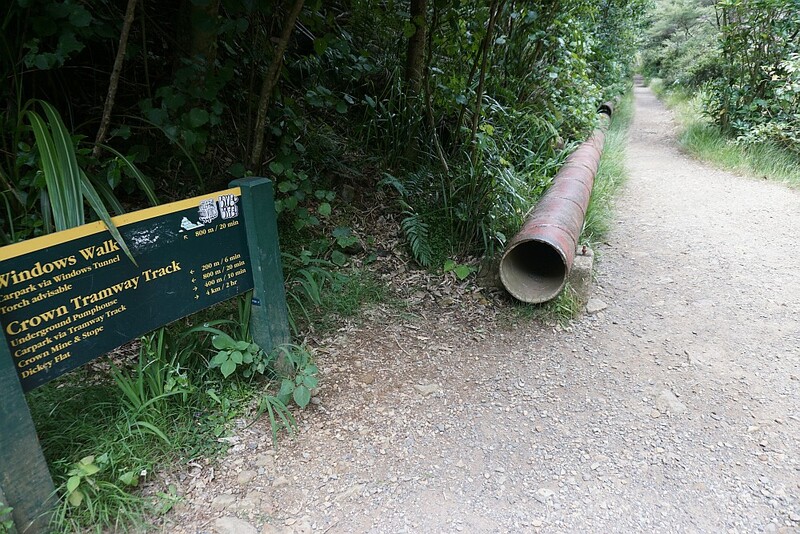 The pipeline is mostly in good condition, and has possibly been used and maintained after the closure of the gold mines. 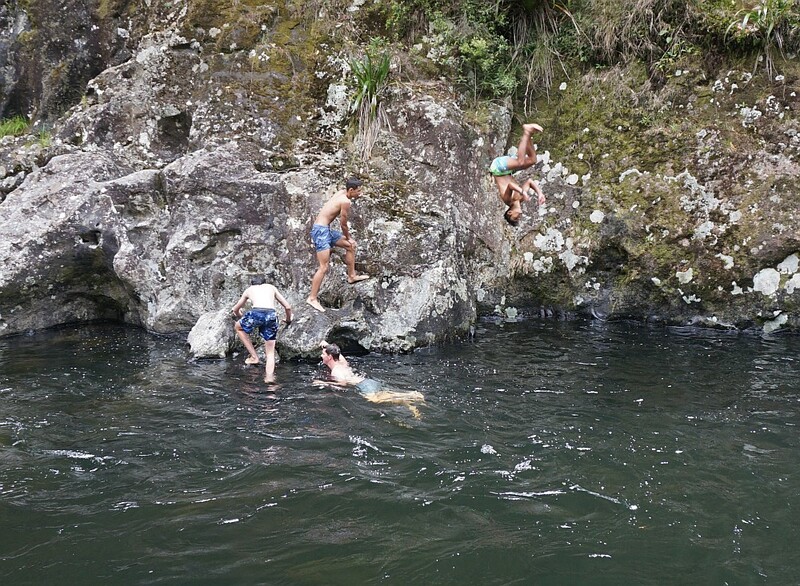 Young guys enjoying one of the swimming holes in the river. Here diving off the rocks, with one of them doing a backward somersault. The most popular of the swimming spots, next to a couple of waterfalls and tunnels. 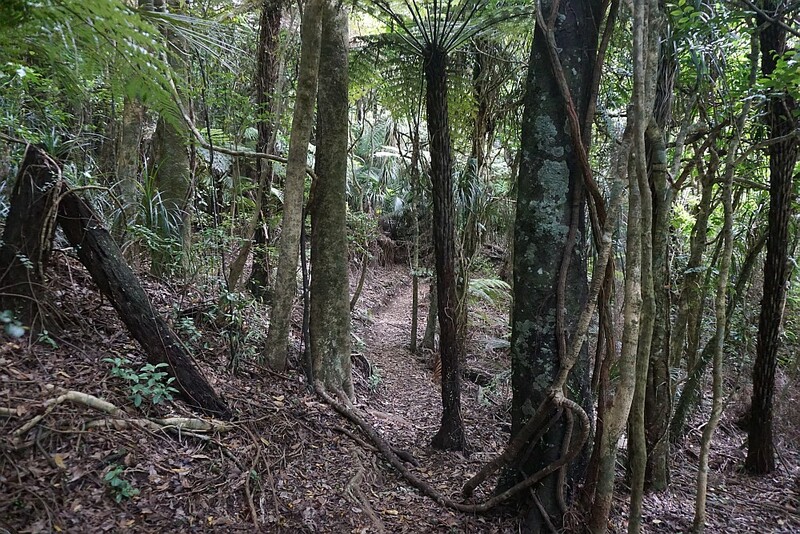 This is about 1km from the Dickey Flat campsite. The track passes through a 150m long tunnel off to the left. 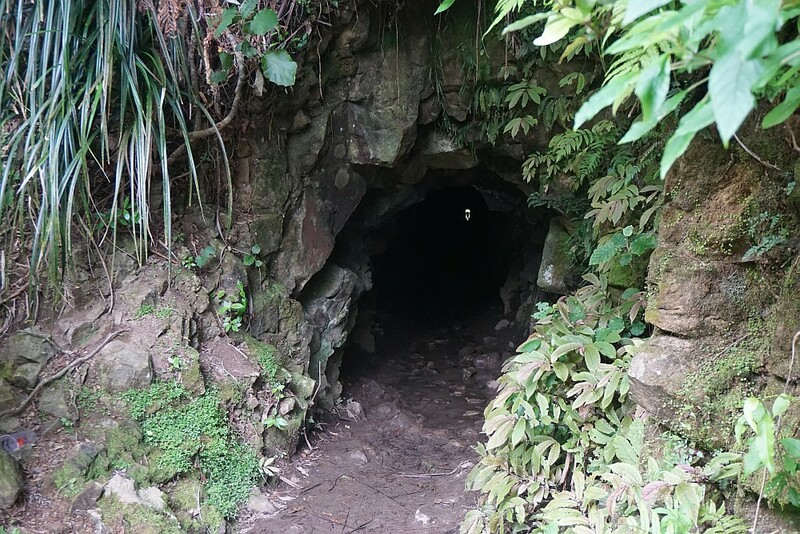 This requires a torch, as the tunnel floor is uneven, and the roof and sides have rocky outcrops in places. Looking back through the tunnel, the entrance at the far (swimming hole) end can be seen. 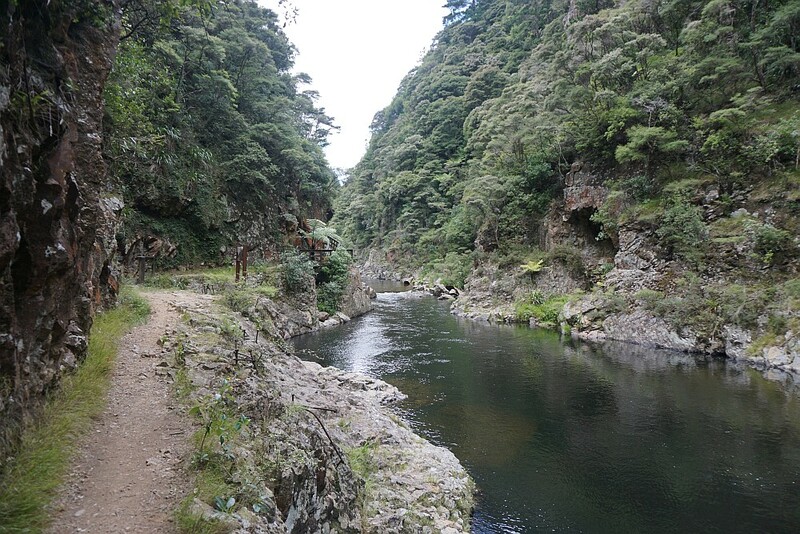 Looking back down the Waitawheta River towards the falls and the swimming hole after passing through the tunnel. The swing bridge across the Waitawheta River, shortly before reaching the Dubbo 96 Track junction and the campsite. The access ramp onto the swingbridge by the campsite. 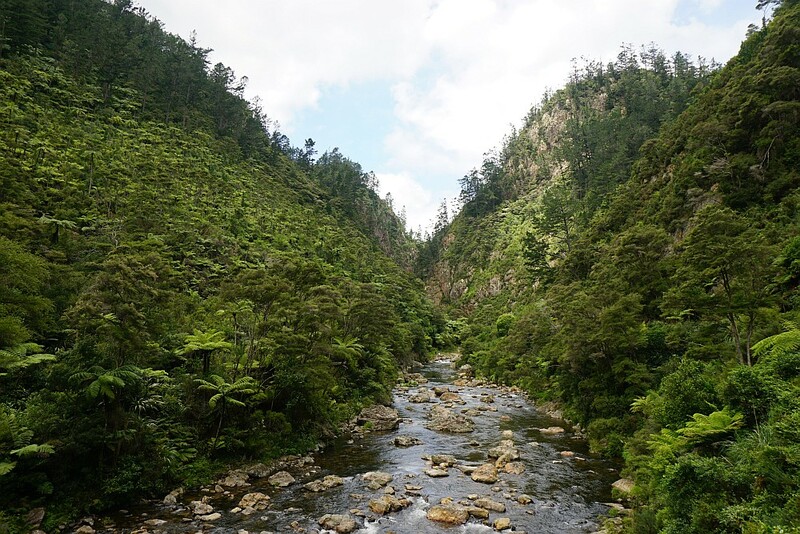 Dickey Flat to Karangahake – 5.6km, 2 hours 5 minutes. 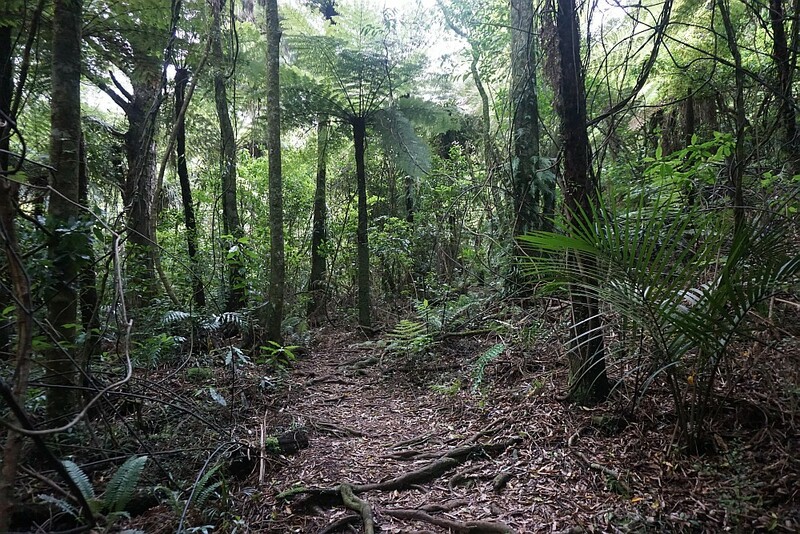 Karangahake to Dickey Flat – 4.7km, 1 hour 25 minutes. 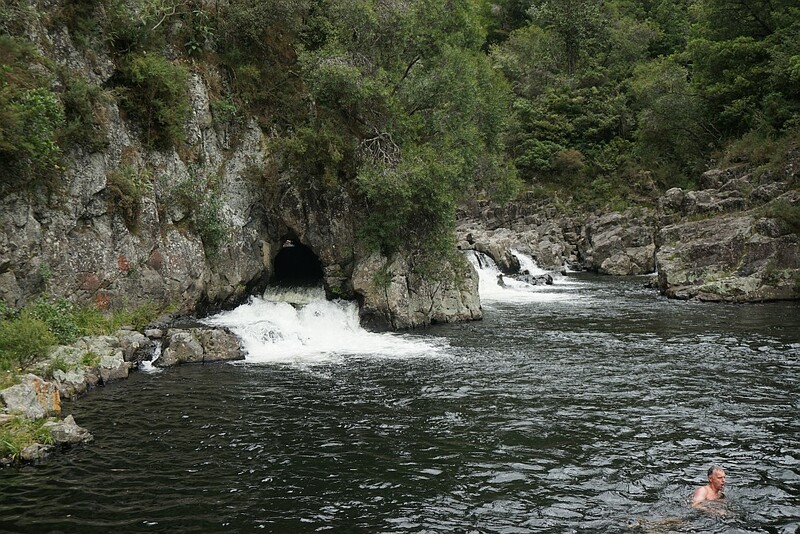 Swimhole through tunnel to Dickey Flat – 1.1km, 20 minutes. Total distance 10.3km, total time 3 hours 30 minutes. 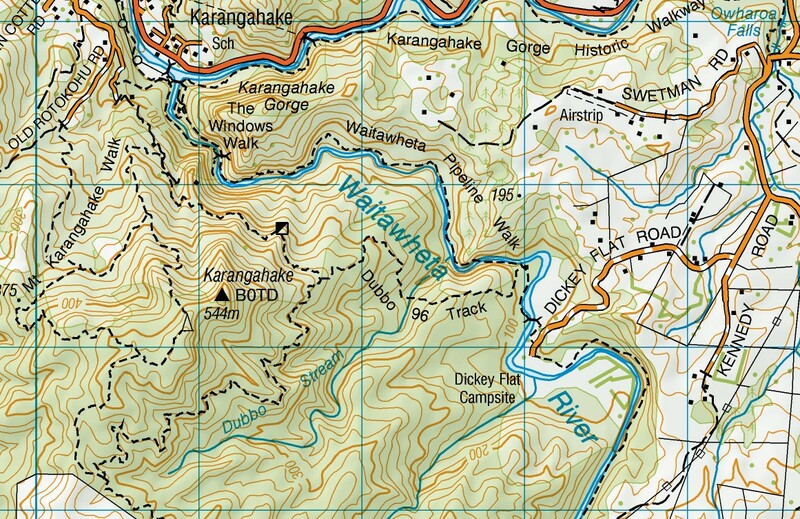 Lowest elevation about 60m at Karangahake, highest 280m at Dubbo 96/Number 7 Level junction. The topographic map shows more details of the terrain. The tracks were walked on January 6, 2016.